At the time of the formation of Beagle, it was envisaged that the single engine line would be based on the existing Miles design for the Messenger replacement, the M.117, a 2/3 seat tourer/trainer using a 100 hp Rolls-Royce Continental 0-200A. However, due to production difficulties, this was idea was abandoned. Following a careful market evaluation, a completely new design resulted in the announcement, in 1965, of the all metal Pup range with engines ranging from 100 hp up to 210 hp and with fixed or retractable undercarriage. The first to be built would be a semi aerobatic 2-seat B-121C, with a 100 hp RR Continental 0-200, to be joined later by a 4-seat B-121T Pup Major with an RR Cont 0-300, then a fully aerobatic B-121M Bull Pup fitted with a 210 hp Cont 10-360 and clipped wings: a Twin Pup Major was also projected. The first prototype B.121C (G-AVDF) made its first flight of 75 minutes from Shoreham in the hands of the late 'Pee Wee' Judge on Saturday 8 April 1967. Later flight trials confirmed that performance and handling were all that had been anticipated. Following further market research and favourable reaction to the 1966 Farnborough mock-up exhibit, it was decided to re-plan the introduction of the higher powered versions. 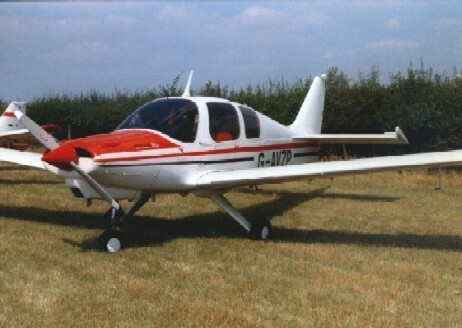 The 100 hp 2-seat Pup 1 was to sell for £3495 and the 150 bp Lycoming 0-320A-2B powered Pup 150 (or Pup 2) would sell at £4250. The biggest in the initial production range would be the Pup 180 selling at £5400. To simplify production initially, all Pups would be stressed for positive-g aerobatics, and the retractable undercarriage option would be offered at a later date. Orders for over 250 aircraft were received within the first 12 months, thus exceeding even the most optimistic production estimates. At Shoreham, the second airframe built was used for ground structural tests, and was followed by the first 150 (G-AVLN) in January 1968, and the first production 100 (G-AVZM) which flew on 23 February 1968. Early modifications included an increase to the fin and rudder area and the addition of anti-spin strakes to the 150 which, to simplify production, were incorporated in both versions. 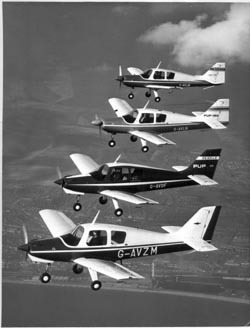 The first customer delivery was GAVZM (on loan) to the Shoreham school of flying on 9 April 1968 followed by the first of their own aircraft, G-AVZN, which had been used as the Hanover show demonstrator: this was later joined by G-AVZP, 'WDZ and 'WEC. Other early customers were Flairavia at Biggin Hill and Casiar of Carlisle. 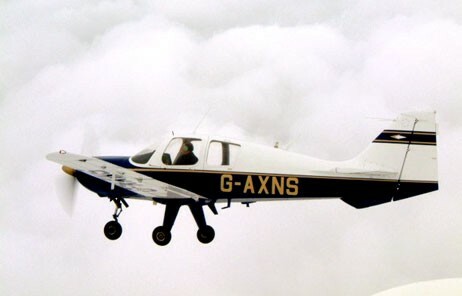 Back at home, both the College of Aeronautics at Cranfield and the Surrey & Kent Flying Club became major users and even Beagle themselves used G-AXDU and G-AXOJ as demonstration and hack aircraft. In September 1969, certain defects to the aircraft as well as the company's poor customer relations were brought to the attention of the general public and the MD of Shoreham School of Flying announced that he was about to sell his fleet of Pups because of inadequate co-operation from Beagle with rectification. The problems included brake and shock-absorber failure, fuel tank splits, doors opening in flight and wing mounting cracks, all largely attributed to the comparatively complicated design which did not lend itself easily to mass production. This also meant that the aircraft was seriously under-priced on production costs alone. Although the price was increased to £5,000, a request to the government for a further £6M to aid production was turned down and the company passed into receivership. 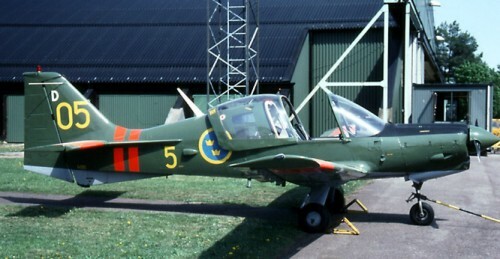 Many of the remaining completed aircraft were eventually sold off to meet outstanding orders, and some partly completed aircraft were in fact acquired from the receiver by Domestic Wholesale Appliances who eventually sold them off after completion. Many of the various spares and incomplete airframes were taken to Prestwick for Scottish Aviation who took over product support. This latter role has, of course, now been taken over by DHS.